Oppo F5 is powered by an Octa-core 2.5 GHz processor with a Mediatek MT6763T Helio P23 chipset. Mediatek MT6763T Helio P23 is a powerful system on chip (SoC) for android smartphones and one of the first processors manufactured with 64 bits processor, it comes with ‎8/8 core threads, 4x 2.5 GHz ARM Cortex-A53, 4x 1.6 GHz ARM Cortex-A53 is 2500 GHz and ARM Mali G71 MP2 GPU. The smartphone comes with two variants 64/32 GB on 6 and 4 GB RAM respectively which can be extended up-to 256GB via microSD . 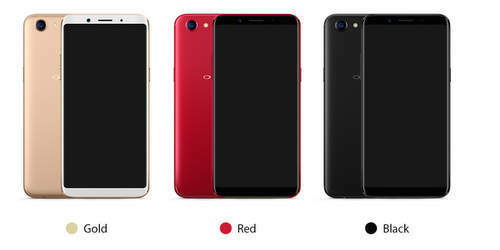 Oppo F5 comes with Android 7.1 (Nougat) that is powered by a Li-Ion 3200 non-removable battery. The camera is equipped with a LED flash 16-megapixel rear camera on the back with laser & phase autofocus, face detection, geo-tagging and a 20-megapixel selfie. Connectivity: Bluetooth; Dual Nano SIM Cards; microUSB 2.0,OTG; Wi-Fi 802.11 a/b/g/n/ac; GPS; Fingerprint.